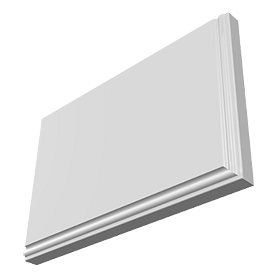 During your roofline installation your installer will construct the box end from a fascia board and two corner trims to neaten the edges. It is awkward to make a box end for the scalloped ‘ogee’ fascia, if you have this type of board your installer may use a preformed box end. Let us find you a local reliable installer for your roofline repair or installation.